"Our housing market is broken". That was the damning verdict of the Right Honourable Secretary of State for Communities and Local Government in 2017. The 9,712 residents on the housing register in Merton would certainly agree with him. Perhaps the most visible indication of our broken housing market is the 9,000 rough sleepers on our streets. But the homeless crisis that this country faces is far greater. And it is hidden. Hidden in hostels, hidden in B&Bs and hidden in converted warehouses. In total, there are 79,190 households in temporary accommodation - a 65% rise since 2010. Of these, 28% have been placed away from their jobs, schools, friends and family in a different local government area. 6,400 of these households are in B&Bs, with many placed here far longer than the 6 week legal limit. Siobhain's speech in November in the House of Commons calling for the right to build and the right to buy. There can be no doubt as to the responsibility for this country's deplorable housing crisis. 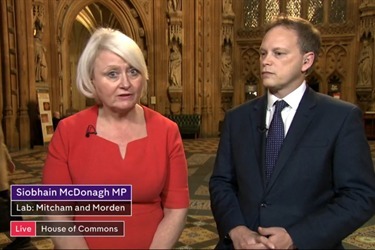 The December report from the Commons Public Accounts Committee explicitly read that the Department for Communities and Local Government has had an 'unacceptably complacent' attitude to reducing homelessness. Their current plans to tackle this issue are said to address only the tip of the iceberg and there is an unacceptable shortage of realistic housing options for the homeless. But, of course, many of us knew this already. The last time the Government target of 300,000 new homes in one year in England was achieved was almost half a century ago. The difference back then was that councils and housing associations were building new homes. If the Government is to achieve this target, councils simply have to play their part. And that's why I'm calling upon the Government to grant Local Authorities the Right To Build and the Right To Buy so that housing can be let to families on low incomes at social housing rents. 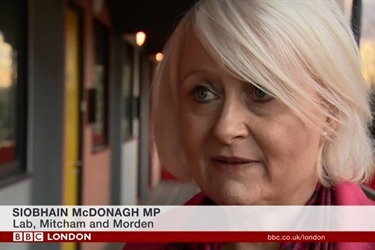 My campaign has now featured on BBC, ITV and Channel 4 News, but the wait goes on so that the 128,000 children who are currently homeless can finally have a place to call home. 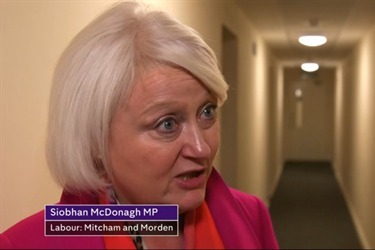 Siobhain's speech in December in the House of Commons calling for the right to build and the right to buy.